The perfect gift deserves a special package. 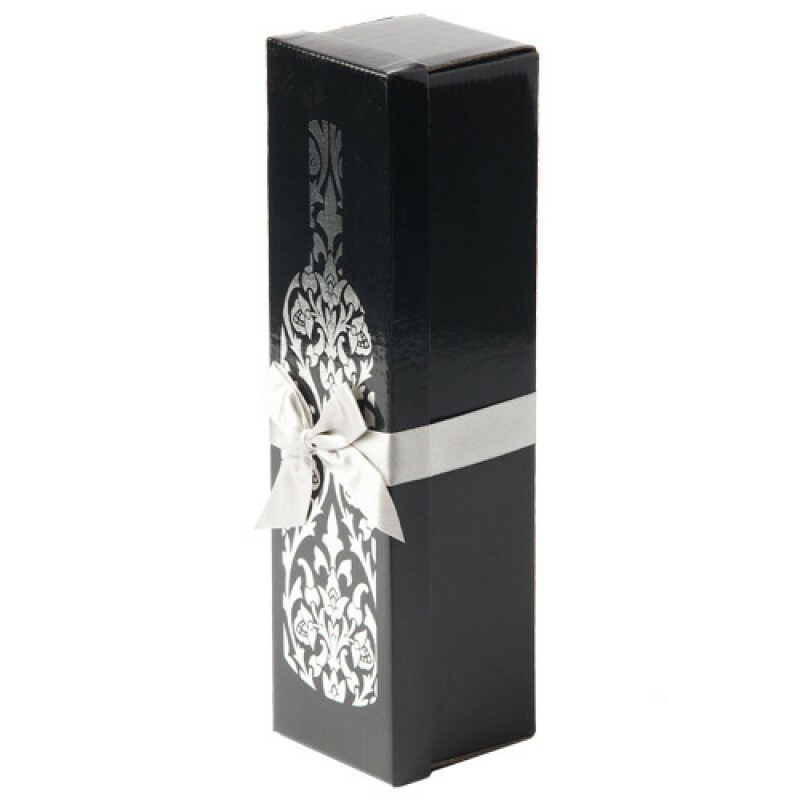 This sophisticated wine box is embossed with a wine bottle silhouette with intricate silver detailing inside. A silver silk bow ties it together.